Adding cyber security to the assessment of new vehicles brings in a new era of crash testing. Assessing the crashworthiness of cars has come a long way since the idea was first established to fling a car at a stationary object to see how it breaks around 50 years ago. Those pioneers quickly realised the complexity of the task of making valid and repeatable assessments as well as understanding exactly what the assessment critera would be. Decades of progress have resulted in the highly developed test regime that currently exists within the various New Car Assessment Programme (NCAP) organisations around the world which bestow from 0 to 5 stars as awards to the vehicles that they test. These stars are based on performance criteria relating to front, offset and side impacts, driver and passenger safety, pedestrian protection and active safety features such as Automatic Emergency Braking (AEB). The introduction of AEB could be seen as the onset of autonomy, one of the first examples of software controlling a vehicle operation, and such examples are now proliferating rapidly. Self parking, lane keeping assistance and adaptive cruise control are all commercially available examples of autonomous technology and as this trend progresses, such functions will become joined-up to present greater levels of autonomy under software control. It’s long been recognised that one of the greatest risks associated with such high levels of automation is the potential for cyber attacks. 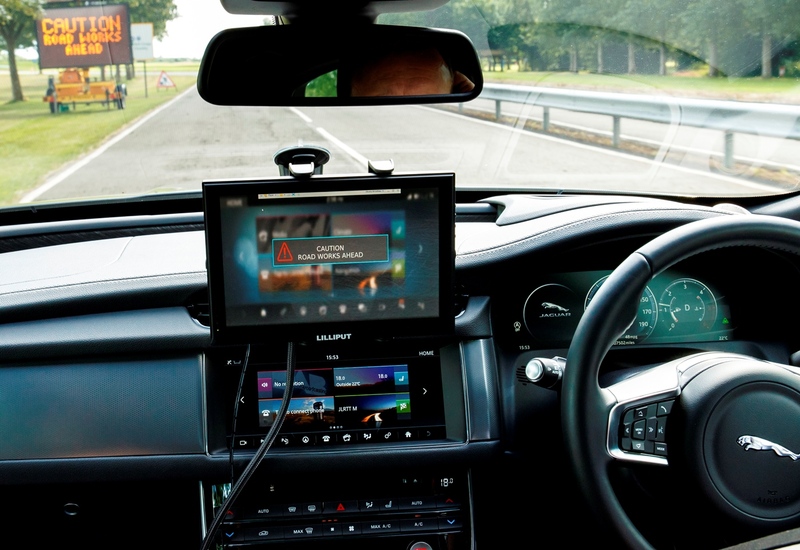 Now, the UK Government has given the green light to funding for a project for assessing the cyber risk of connected and autonomous vehicles. Vehicle engineering giant, HORIBA MIRA and the organisation at the heart of Euro NCAP and established experts in physical crash testing, Thatcham Research, are amongst the list of research centres taking part in the project and will be the pioneers in the new age of “crash testing” which will assess and rank the cyber risk of onboard software systems that control the vehicles of the future. With the project only having kicked off this week, it’s still unclear how this will be achieved but it’s certain that the 5*StarS group will face a massive challenge just in scoping the kind of systems to be assessed and the extent of the assessment. Described by one representative at HORIBA MIRA recently as the largest single piece of consumer electronics investment that anyone is likely to make, the car has awesome levels of electronic and software complexity. With infotainment, consumer-grade connectivity, passive safety sensors, active control systems and engine management being just a few of the electronic systems on board a vehicle, the potential entry points for a cyber criminal are plentiful and securing them is a significant challenge. A new era of crash testing has just begun and the risks to be assessed are significant so insurers and consumers alike are looking forward to gaining confidence in the wave of autonomy that’s just over the horizon.